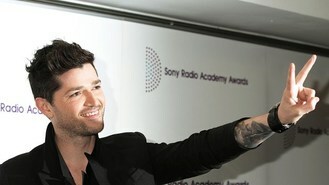 The Script singer, who was a coach on the BBC One show, suggested that a rival would have had more success when the programme finished. Asked if he was unhappy that Leanne's debut single Run To You failed to make the top 40 singles chart, he told Gigwise: "She wasn't on my team so I can't feel that much disappointment. "She won the show, you know, in the final she was 'technically' the best singer. Was she technically the best artist? No. But that's just my opinion. "She was definitely the best singer on the night, but it was unfortunate that other people didn't get a look in, ones that would have suited pop music better." He added: "She's got an amazing voice, but I couldn't see her exciting 80,000 people for an hour and a half, there were people like that on the show, but they got voted off, and it's quite hard."